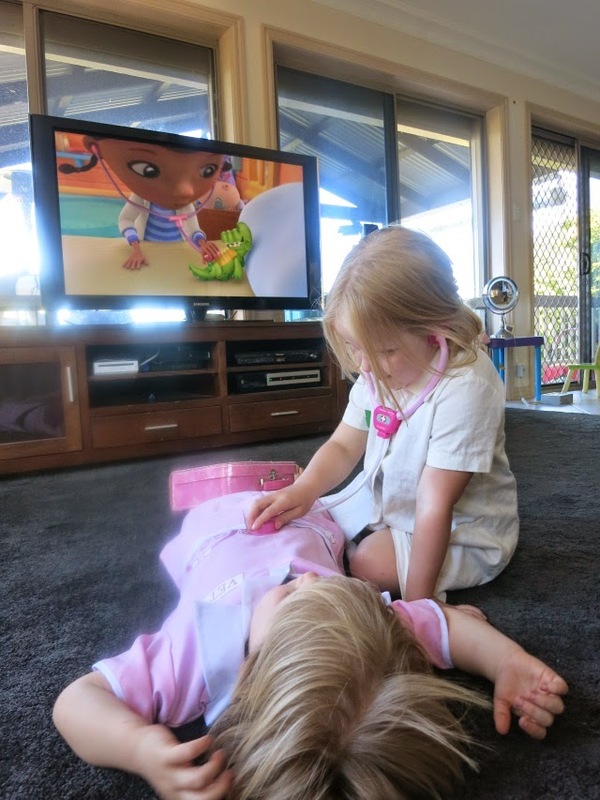 Learn with Play at Home: Doc-tober on Disney Junior. Promoting health and wellbeing for children with technology. Disney Junior is the #1 Preschool Subscription TV channel that brings Magical Storytelling into the homes of young children, through engaging stories and endearing characters. The thing that I love the most about the Disney Junior characters is the way that they have been designed to deliver stories of generosity, teamwork and kindness to others. 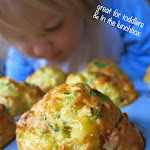 They are written and delivered in a way that promotes health and wellbeing for younger children. I have found, as a teacher and a parent, that it is often when children see and hear the same messages and lessons they've heard from their parents/caregivers, delivered by others (ie. teachers, relatives, friends, television shows, games), that really reinforces and drives the message home. And, as children can be very influenced by what they see on television, it's important we're choosing shows that include the same values that we aim for and share the same messages we are teaching. 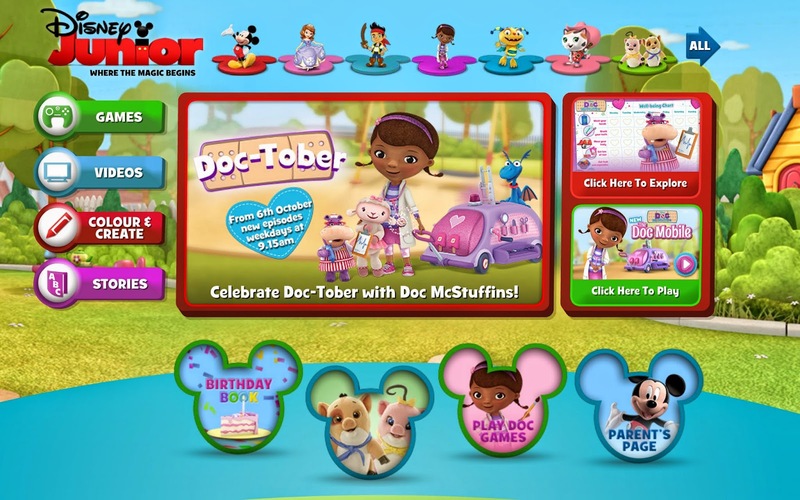 For the month of October, Disney Junior are running Doc-Tober where they are showcasing the loveable Doc McStuffins character and all her toy friends through new episodes on the Disney Junior TV channel (including the introduction of Doc's new mobile clinic, the Doc-Mobile) as well as new Doc games and activities on DisneyJunior.com.au. 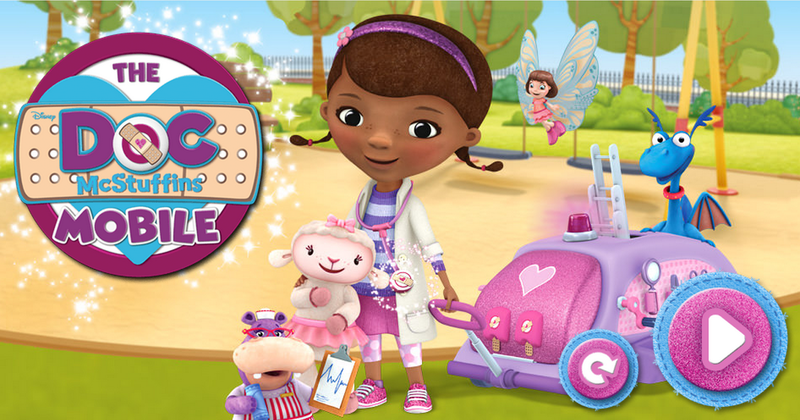 Doc McStuffins is a 6 year-old girl who wants to be a doctor just like her Mother. She has a magical stethoscope that brings toys to life and she treats and cares for toys out of her backyard clinic and the new Doc-Mobile. 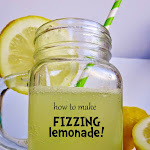 My kids really enjoy watching the show and I love that as well as each episode being full of good advice for children, they each have their own overlying message that is woven into each episode. Themes covered include important reminders for children's health and wellbeing such as always wearing your seatbelt or why it's important to get enough sleep. The series has also inspired a lot of role play in our house. Maddie (aged 5) and I checked out the Disney Junior website and she enjoyed a turn playing the new Doc Mobile games available for this month. To see them in full and have access to all the features, be sure to view via your laptop or desktop computer. "It's important to exercise everyday to stay strong and flexible"
"Staying hydrated will help you be healthy and feel great"
"Remember to get plenty of rest so that you can recharge your energy"
These were delivered in a fun and engaging way for children and in context that they could understand and relate to their own life. 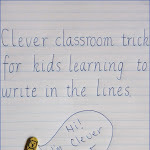 This is how children learn best. 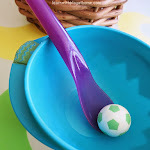 It is great to play games that challenge children but also allow them to feel success. 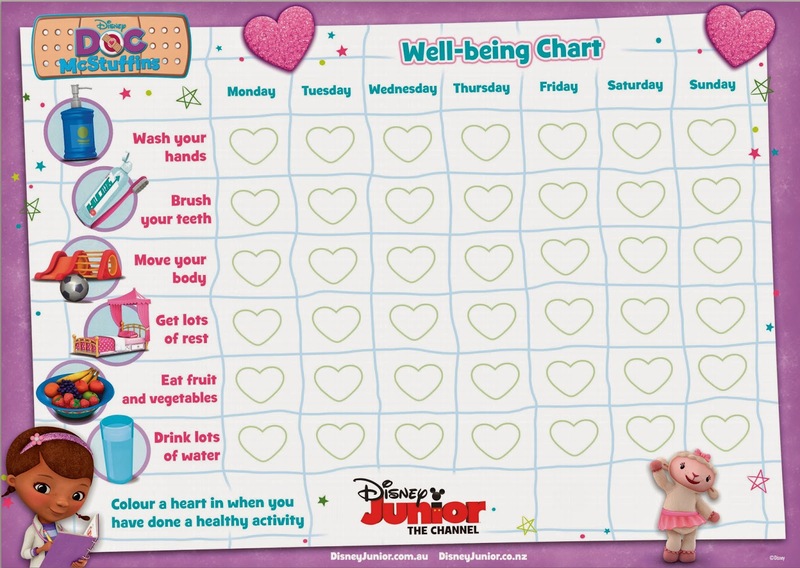 In addition to the games there are also partial episodes available for you to watch online as well as a range of colouring sheets and activities such as the Well-being Chart shown above. 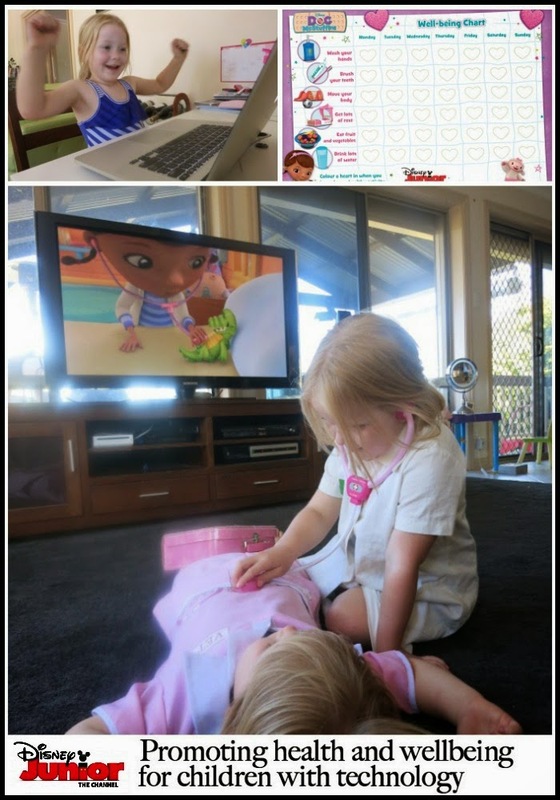 The shows are all accessible via Foxtel and Fetch (neither of which we currently have at our house) with Disney Junior's core TV Shows, Sofia the First, (we made princess cone hats and hosted a princess tea party while learning all about good manners thanks to Sofia the First), Jake and the Never Land Pirates and Doc McStuffins shown on free-to-air TV in Australia on Ch 7 (Sunday mornings 6-7am) and 7mate (Tues-Fri morning 7-9am). You can also purchase DVDs of the shows, access via itunes and check out the Disney Junior website. Do your children watch any of the Disney Junior shows? Which are their favourites? It is definitely nice to see strong, smart female characters. My four year old loves to watch Disney Junior when he's at his Grandparents (we don't have pay TV at home) and he always comes home singing all the songs. I must see about recording Jake and the Neverland Pirates as I think he'd love that but we don't do morning TV. We don't have pay TV but I like the online games. I appreciate the educational thought that is underneath these programs for kids. Oh wow, we have Fetch TV but we've never watched this. We'll definitely check it out. The website looks great too. Thanks! We're really careful about which shows we let our kids watch, and record ones we like so I know what they are watching and when. We watch playschool, wiggles, octonauts, charlie and lola, angelina ballarina and guess how much I love you. 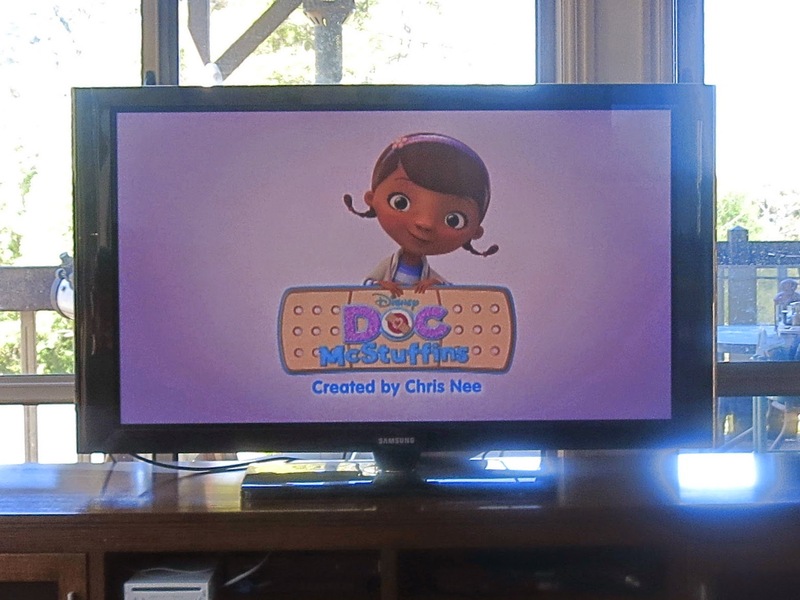 I haven't seen Doc McStuffins yet and it sounds great, thanks for the tip, I'll look out for it! It's important, as you say, to monitor the amount of screen time children are getting but it's great such things as this now exist. We were so limited in what we could watch as children because aside from maybe Sesame Street, there wasn't anything educational. Thanks for sharing. This show hasn't come across my radar but maybe my kids are moving out of this age group - I like the idea of a main character who is a female Dr.
My big girl loves Doc McStuffins and Jake & the Neverland Pirates. I love that I know they are both age appropriate in a world full of plenty of content that is most definitely not. Kids tv has certainly changed since my kids were little! My twins just love the Doc and I really like the message it sounds out to young girls too. Maddie looks like she is having such fun with those games and goodness she is growing up isn't she?!! Thanks for sharing those links, will check them out! What a cool looking show, we haven't seen it yet, will have to look out for it. That chart is awesome. We also love Disney Jr. in our home. I'm a particular fan of the Jake and the Neverland Pirates series. Thanks for this post showcasing another of their great shows.